Ex demonstration use only and is on sale from an Avid authorised reseller. 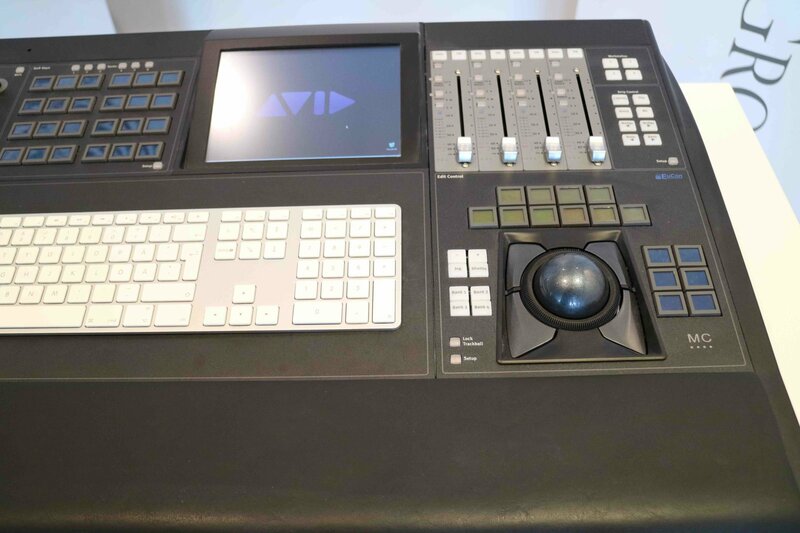 Link to the official Avid MC Pro user guide can be found here. 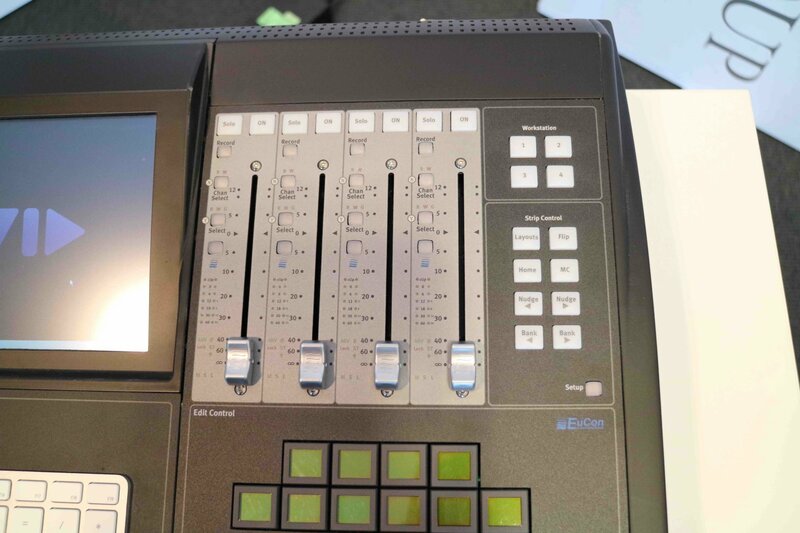 Costing over $20,000 new the MC Pro control surface also served as the centre section of the successful 5MC console. The MC Pro provides ethernet based EUCON control of Pro Tools and HUI control of almost all popular DAW systems. The MC Pro has an integrated keyboard and trackball, user configurable jog / shuttle wheel as well as 56 user defined soft-keys, 4 faders and 8 user definable knobs. A Pro Control Surface for any DAW! The Avid MC Pro control surface gives you complete and precise control over all popular DAWs and video workstations, allowing you to work faster and more effectively. 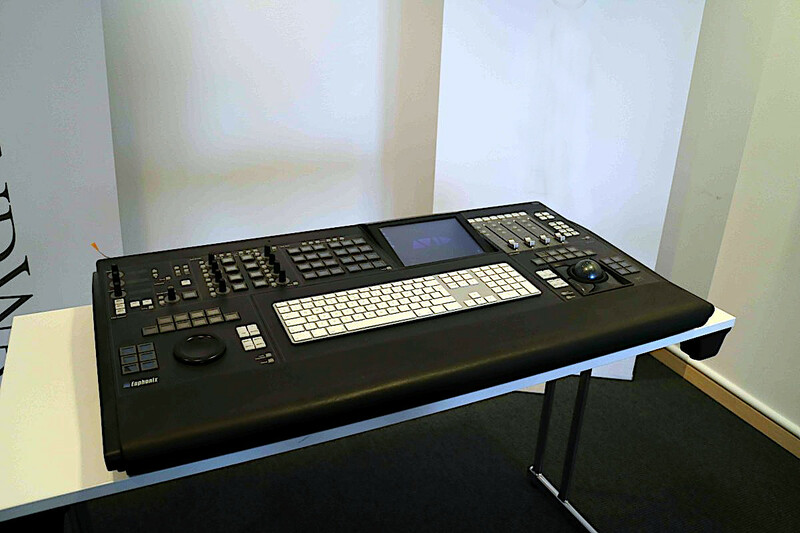 The MC Pro features a full-size keyboard, jog wheel, trackball, 56 LCD SmartSwitches, nine rotary controls, and four faders. There’s also a comprehensive monitoring section onboard. 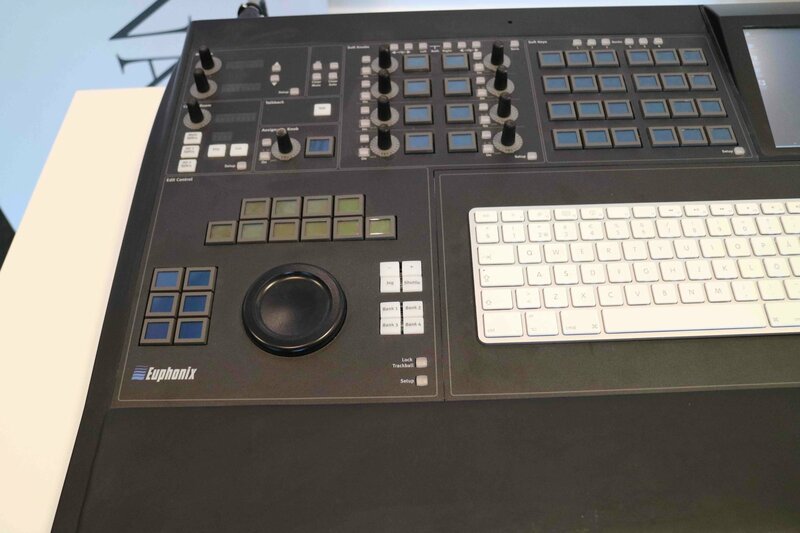 When this professional-grade control surface detects a particular application, it adapts the controls to match the program. This means a faster workflow and more flexible recording and editing options when you use the Avid MC Pro. We can all remember a couple of keystroke commands, but as workflow necessitates switching between applications, it becomes more difficult to recall how to quickly access all the functions and parameters for every application you use. Sometimes you need to access functions in applications that are buried in the background such as transport controls for a media player. The MC’s 56 programmable SmartSwitches solve this problem. There are also many parameters that are more easily adjusted using onboard buttons, rotary controls, faders, and joysticks instead of a mouse, trackball, or keyboard. The Avid MC Pro is designed to control all the top pro media applications, including Pro Tools, Nuendo, Digital Performer and Logic Pro DAWs, audio post applications such as Pyramix, and video production software like Final Cut Pro, Avid Media Composer, and Avid Express. In fact the MC works with any application, Mac or PC! The MC Pro surface is able to switch automatically between applications – all controls on the surface switch to match whichever application is made active on the workstation. Dual trackballs (which can be switched for mouse operation) each with a control ring. One trackball can also be converted into a Jog-Shuttle wheel. 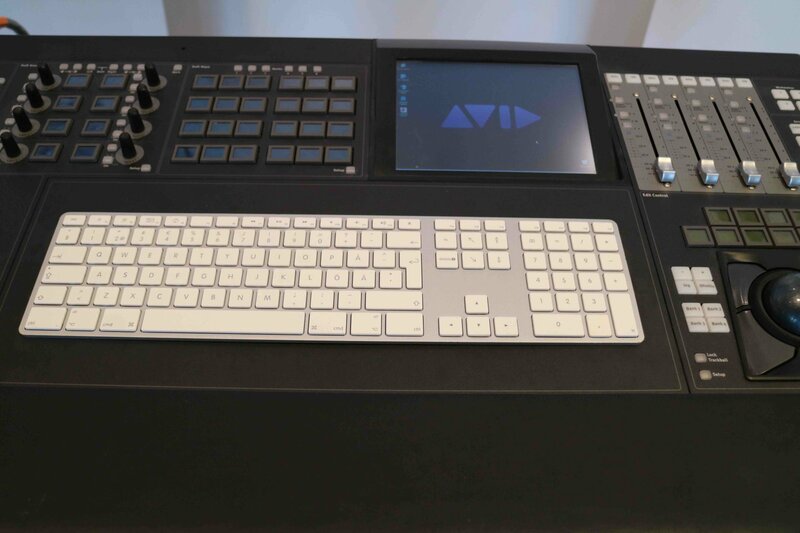 The Avid MC Pro control surface lets you get the most out of any DAW application!